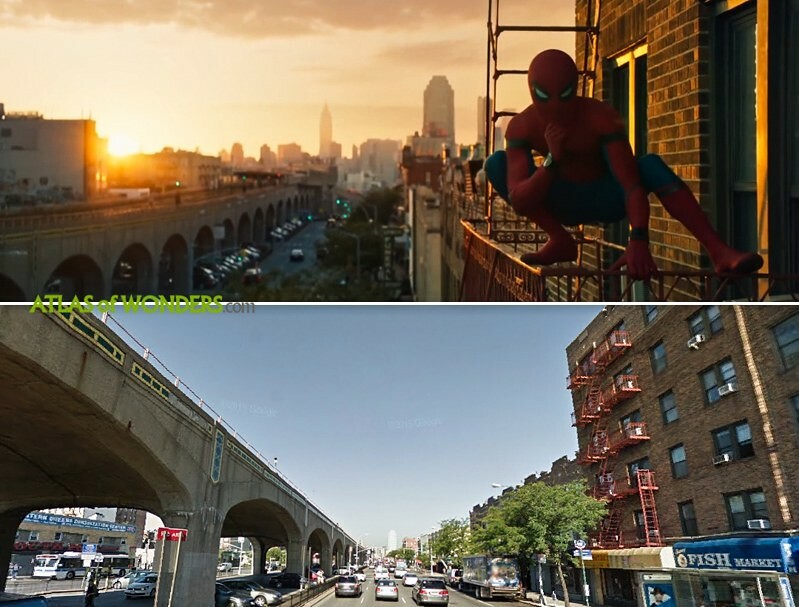 Filming Locations: Where was Spider-Man Homecoming filmed? 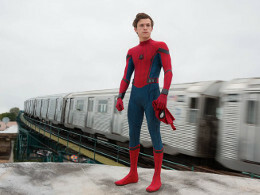 This new installment of the adventures of a young Peter Parker is a reboot of the Spider-Man franchise, after the last 2007 movie. The film continues the Marvel Cinematic Universe timeline after Captain America: Civil War, expanding the story of the Avengers. 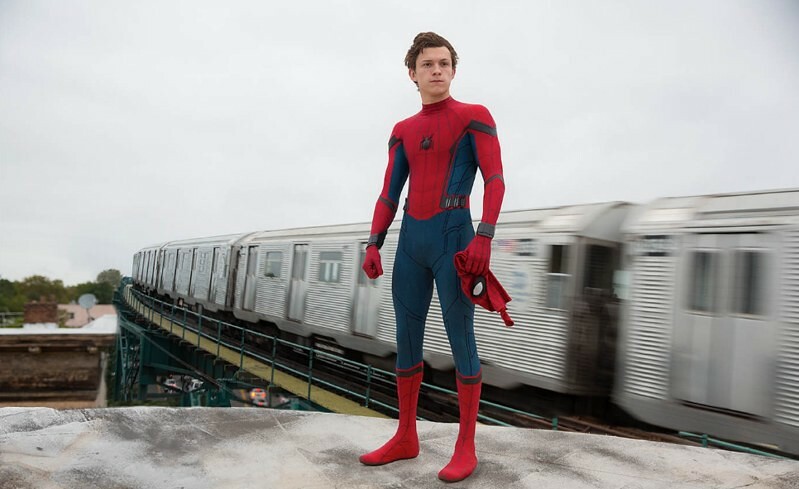 This time the sticky superhero is played by Tom Holland (The Impossible, The Lost City of Z). Robert Downey Jr. returns to his role as Tony -Iron Man- Stark and Michael Keaton is the evil Vulture. 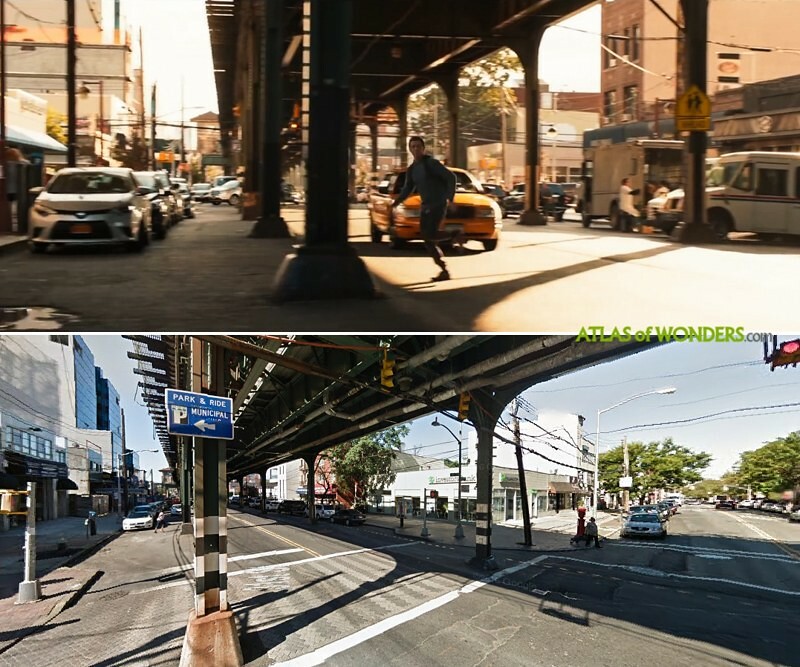 Peter lives in Queens, next to the Subway viaduct above Queens Boulevard, that appears several times during the film. His apartment is very close from there at 43-25 43rd St (Long Island City). We recognized in this screenshot the junction at 31st St and 23rd Ave in Astoria. 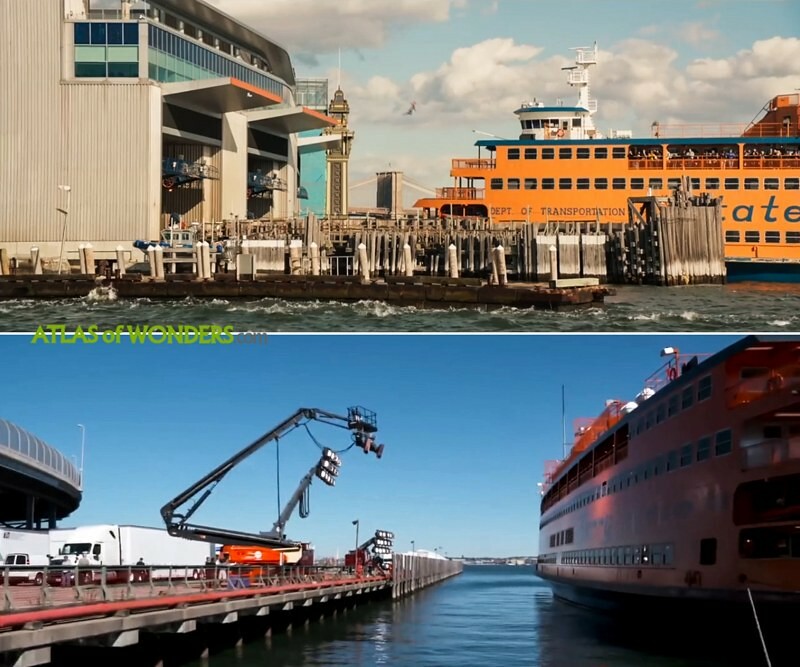 The Staten Island Ferry at St George Terminal features a key action scene. 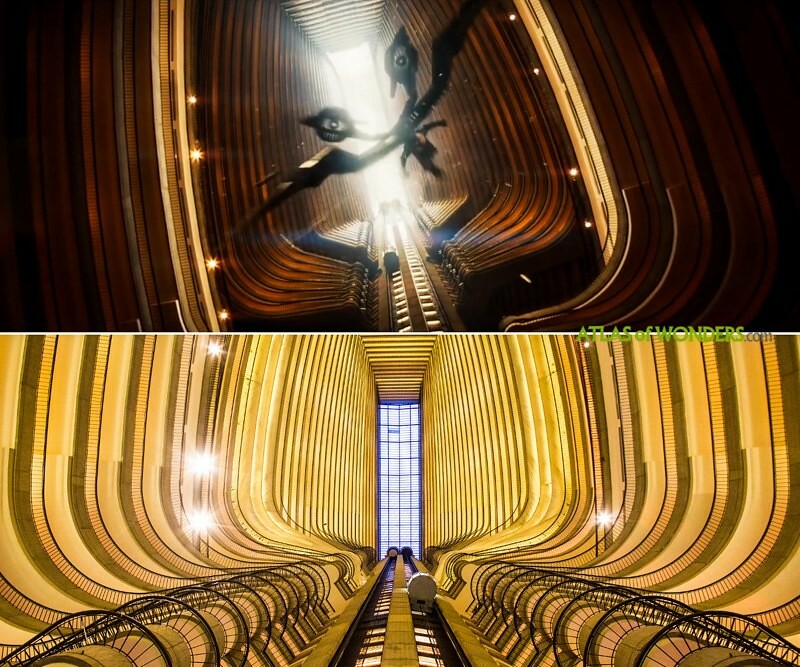 The Vulture inside the spectacular atrium at Atlanta Marriott Marquis Hotel. 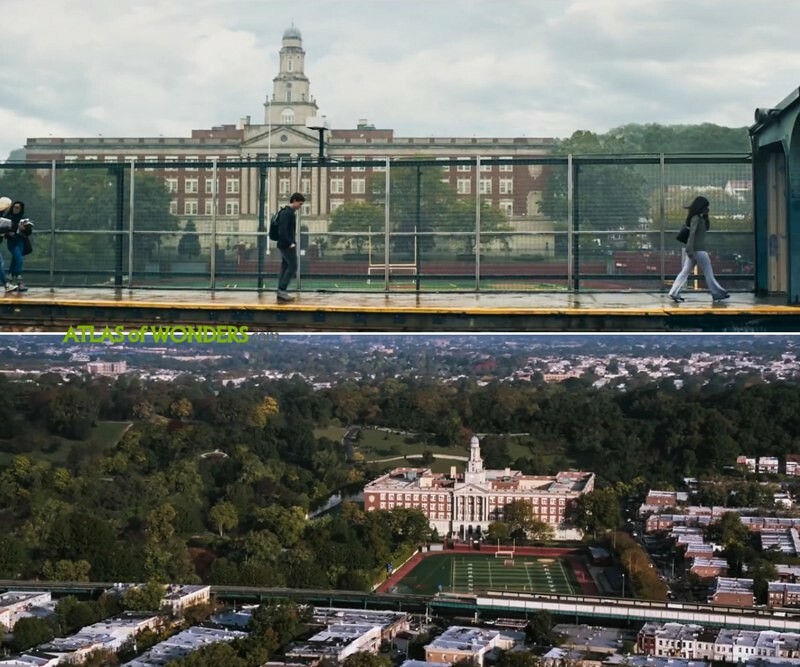 The Franklin K. Lane High School in Brooklyn served as exteriors for Parker's High School. However, the production was filming interiors at Henry W. Grady High School in Atlanta. Also some shooting took place at Washington Monument (although the close-up shots were filmed in a studio), and a scene using a bus was filmed near the Brandenburg Gate in Berlin (Germany). 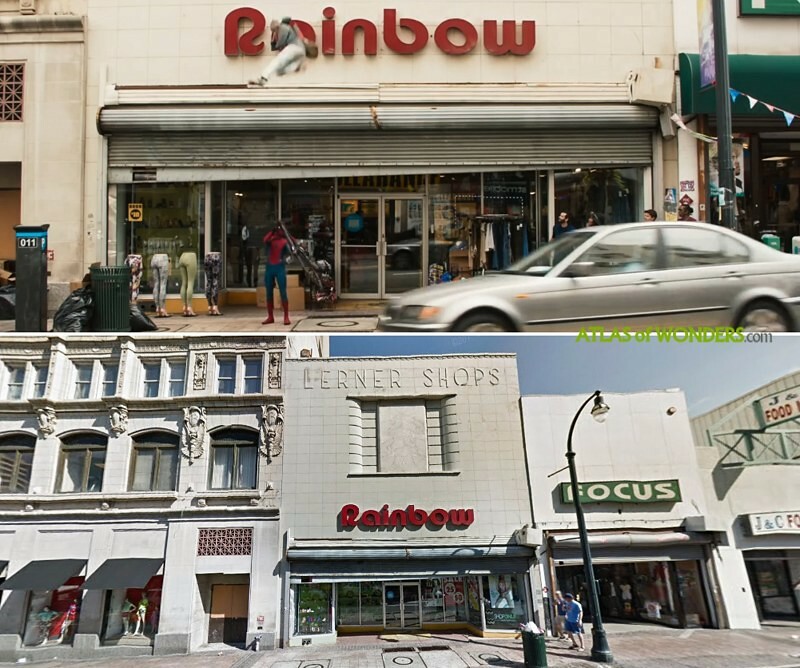 Can you help to improve this article about the filming locations of Spider-Man Homecoming? To complete and correct this report, any feedback, info or images that you may have are more than welcome, thank you! What is the location of Liz Allen's house?